The Coach Bob Shaffer Memorial Golf Tournament is scheduled for Sudnay, Oct. 7 at 10 a.m. at Gray's Crossing. The second annual Coach Bob Shaffer Memorial Golf Tournament will be held this weekend at Gray’s Crossing Golf Course, bringing the community together for 18 holes in honor of a coaching legend while supporting Truckee High School athletics. All proceeds for the event go to the Truckee High School Boosters, which directly support local sports and clubs. 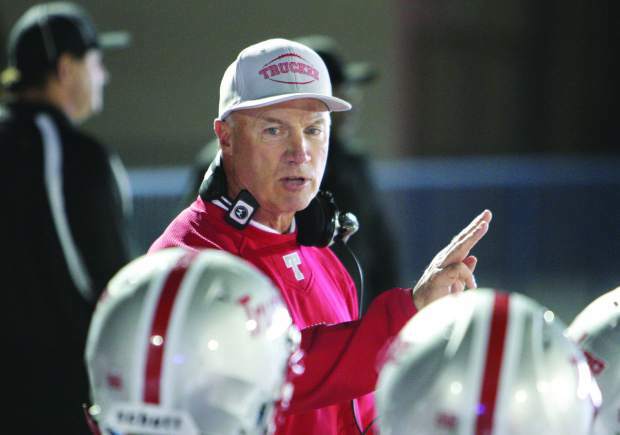 “It’s great to be able for us to keep Coach Shaffer positive presence in people’s memory,” said Truckee Booster John Downing in an email to the Sierra Sun. Last year’s tournament brought in more than $10,000, according to the boosters, and was the single largest fundraiser of the year for Truckee High School sports and clubs. Registration opens on Sunday, Oct. 7 at 8:30 a.m. and costs $150 per player or $500 for a foursome. The tournament will begin at 10 a.m. with a shotgun start on the par-72 course, which plays 7,466 yards from the black teas. There will be a post tournament party with live music and barbecue for $25. Hole sponsorships are also available at $200 per hole. For information on registering or sponsoring a hole, visit CoachShafferMemorial.org.